Trust is a very big word, especially when Industrial cleaners are concerned, not just, do you have to trust them to do the job properly, but you have to trust them to work in a safe and responsible manner. SBS only provides staff who have been fully certified and had background checks, over the past 28 years we have trained our staff to understand the risks and implications of not following procedures or working in a close vicinity of machinery and equipment. Our staff is fully aware, they may be prone to external environmental factors, or they are creating a scenario by using the machinery they are using, to clean your larger areas. We continually provide training updates for equipment, cleaning chemicals and health and safety so we can ensure your building and its contents, are as safe as your employees and clients. As an added level of safety, we only use the greenest eco-friendly chemicals that provide green cleaning which is tough on dirt but kind to the environment. We can assure both employees are free from any contamination which could possibly occur, be it in a canteen area or restrooms where there is constant contact. 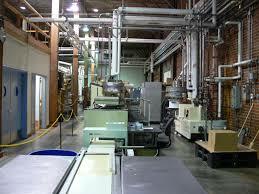 Click here for Industrial Cleaning, and How NOT to clean a warehouse. Regardless of the area in your building, from work areas, packaging and distribution to the canteen, restroom, and offices, we can assure our affordable services can be tailored to meet your requirements and leave you with a clean and healthier environment. SBS aim to be your one-stop-shop for all your cleaning requirements, and most of all we guarantee to be the one you can TRUST! To garner extra information on our Industrial Cleaning in Edmonton AB, or janitorial services you may find useful in Edmonton, contact our cleaning specialists NOW who can be contacted 24/7, and 365 days per year on 780 – 939 – 2799 in Edmonton and receive your FREE QUOTE.